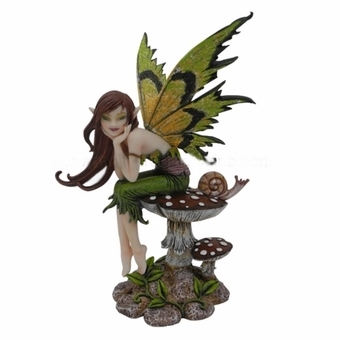 This beautiful figurine depicts a fairy designed by Amy Brown, sitting on a mushroom and pondering life. 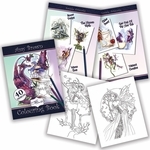 The pixie wears an outfit of leafy green, with a tan sash around her waist. She has rich, auburn hair, and rests her chin upon her hands. She shares her toadstool with a snail, and another, smaller mushroom grows nearby. Delightful and whimsical, this collectible is sure to be a hit with any faery lover!